That ketchup in the refrigerator goes with just about everything – from fried samosas to sandwiches and from kadai-tossed vegetables to kebabs and omelettes. 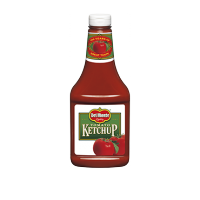 The common perception of the ketchup as a generally healthy and low-calorie condiment has contributed to its growing consumption. So then, are all brands of tomato ketchup safe for consumption, considering that they use acidifying agents for enhancing taste as well as prolonging the shelf life? Are they free from yeast and mould? 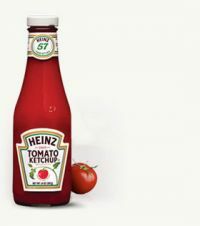 This report checks six leading brands of tomato ketchup along these and other parameters that are important determinants of quality and safety. The good news is that all six brands of tomato ketchup passed all the tests. None diverged from the Food Safety and Standards Regulations on the key parameters that we tested them for. Of course, some scored better compared to others, as discussed in detail below. You can see list of our CV Surveillance Series - Tomato Ketchup below, perform Side-by-Side comparison. If you need further help, do have a look at Conzumr Guides and Tips. Alternatively you can view all Tomato Ketchup to choose your own favourites. Tomato ketchup and tomato sauce means the product prepared by blending tomato juice/puree of appropriate concentration with nutritive sweeteners, salt, vinegar, spices and condiments and any other ingredients suitable to the product, and heating to the required consistency. Tomato paste may be used after dilution with water suitable for the purpose of maintaining the essential composition of the product. Yeast and mould are responsible for many types of food spoilage before and during the processing. A high count of these in the finished food product indicates decomposition or poor hygiene conditions at the manufacturing point. Yeast can cause skin rashes and mouth infections, while eating mouldy food is dangerous because such food is likely to be contaminated with mycotoxins (fungal poisons). As per FSS Regulations, yeast count shall not be more than 125 per 1/60 cubic milimetre and mould count shall be positive in not more than 40 per cent of the field examined. None of the brands surpassed the permissible limit for yeast and mould count and are therefore safe for consumption. Well above the minimum requirement set by the Indian Standard as well as FSS Regulations. Heinz Tomato Ketchup : Well above the minimum requirement set by the Indian Standard as well as FSS Regulations. Well above the minimum requirement set by the Indian Standard as well as FSS Regulations. 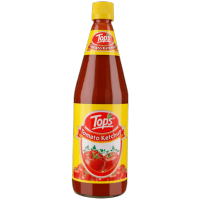 Tops Tomato Ketchup : Well above the minimum requirement set by the Indian Standard as well as FSS Regulations. Well above the minimum requirement set by the Indian Standard as well as FSS Regulations. Maggi Tomato Ketchup : Well above the minimum requirement set by the Indian Standard as well as FSS Regulations. Well above the minimum requirement set by the Indian Standard as well as FSS Regulations. 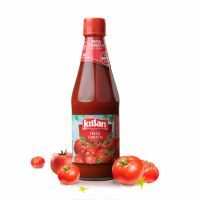 Kissan Tomato Ketchup : Well above the minimum requirement set by the Indian Standard as well as FSS Regulations. Well above the minimum requirement set by the Indian Standard as well as FSS Regulations. Patanjali Tomato Ketchup : Well above the minimum requirement set by the Indian Standard as well as FSS Regulations. The specific gravity (SG) is the ratio of density of a substance to the density of a reference substance; alternately, it is the ratio of the mass of a substance to the mass of a reference substance for the same given volume. As per BIS, specific gravity should be a minimum 1.111 when tested at 26 degrees C.
All the brands conformed to the minimum requirement of 1.111 of specific gravity. Microbiological contamination is a very important factor in determining the quality of food products. For tomato ketchups, we conducted tests for three major microbes: namely total plate count (TPC), mould count and yeast and spores count. These microorganisms are responsible for many food-borne diseases. Due to improper or poor hygienic condition during the manufacturing process, microorganisms may occur in the finished product. All the brands passed the tests for mould count and yeast and spores count. Mum’s showed a total plate count of 745 cfu/ml, but that was within the specified limit. All the other brands had a TPC of less than 10 cfu/ml. Sensory panel tests were conducted in a test lab, involving technical experts. The tests were carried out under the guidance and supervision of technical experts. The following parameters were judged by the panellists and ratings were then given on a five-point scale. The parameters were as per guidelines set by the Indian Standard. Colour: The colour of tomato ketchup should be a characteristic red, reasonably uniform, and free from any blackening of surface or any discoloration. Consistency: Tomato ketchup should have good fluid consistency and uniform texture. It should not have tendency of separation. 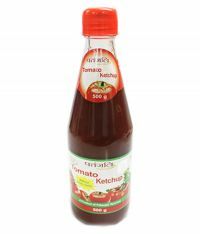 Taste and flavour: Tomato ketchup should have an appealing flavour and should be free from any scorched, burnt or other objectionable flavour. Absence of defects: It should be practically free from visual defects such as seeds, skin, dark specs or other hard and coarse extraneous material. Tomato ketchup shall ordinarily be packed in glass containers, jars, or plastic bottles. Glass is a better packaging material because glass will not react with ketchup. Glass is also eco friendly. Heinz and Del Monte were packed in plastic bottles. All the other brands were packed in glass bottles. Lycopene is a photochemical (naturally occurring pigment with beneficial health effects) found in tomatoes and some other plants products. It is a pigment that produces a stable red colour and has been identified as a powerful antioxidant. Antioxidants neutralise harmful substances in the body called free radicals, which may damage the body’s cells and may even contribute to cancer and cardiovascular diseases. Humans cannot produce lycopene and must ingest fruits, absorb the lycopene, and process it for use in the body. Lycopene content in tomato ketchup is an indicator of the quality of the tomato content in it. The more the lycopene, the more is the ripened tomato content. Low levels of lycopene indicate the use of either less or unripe quantity of tomato pulp or poor quality of tomatoes. So far, no requirement for lycopene has been specified in FSS Regulations or BIS. Kissan (18.52 mg/100 gm) contained the maximum quantity of lycopene, followed by Heinz (16.51) and Weikfield (16.26). These are solids that are dissolved in the tomato ketchup. A common soluble solid is sugar (both natural and added). There is no test method that can test natural and added sugar separately. As per FSS Regulations, tomato ketchup must contain not less than 25 per cent of total soluble solids. TSS was above the minimum requirement in all the brands. Patanjali contained the highest TSS and Heinz the lowest. Total soluble solids is an expression for the combined content of all inorganic and organic substances contained in a liquid; these are present in a molecular, ionised or micro-granular suspended form. The main ingredients containing TSS are water, tomato paste, sugar and salt, and a minor quantity can be found in vinegar, spices and preservatives. As per the national standards (BIS & FSS Regulations, 2011), tomato ketchup must contain not less than 25 per cent of total soluble solids. All the brands were found above the minimum requirement for total soluble solids. TSS was found highest in Weikfield and lowest in Mum’s. Acetic acid or vinegar is added in tomato ketchup for acidity. Acidity gives taste to the ketchup and also works as a preservative. If acidity (acetic acid) is lower than the minimum limit, microbes will begin to grow, allowing contamination of the product and reducing its shelf life. As per FSS Regulations, acidity (as acetic acid) content should be not less than one per cent. Acidity (as acetic acid) was above the prescribed limit in all brands. Acidity is related to the shelf life of the product. If acidity (acetic acid) is lower than the minimum limit, microbes will begin to grow, allowing contamination of the product and reducing its shelf life. As per the national standards, acidity should be a minimum 1.2 per cent by weight; as per FSS Regulations, it should be a minimum 1.0 per cent. All the brands were well above the minimum requirement set by the Indian Standard as well as FSS Regulations. Carbohydrates are the sugars, starches and fibresfound in fruits, grains and vegetables and milk products. Though often maligned in trendy diets, carbohydrates are one of the basic food groups and are important to a healthy life. Tomato ketchup is a source of carbohydrates. While some quantity is generally found in the ripened tomato, the higher quantity is due to the presence of added sugar. No requirement for carbohydrates has been specified in FSS Regulations or BIS. All the brands contained a significant amount of carbohydrates, the lowest being in Kissan and the highest in Tasty Treat. Synthetic colouring material is the artificial colour that makes the product retain the original colour. FSS Regulations do not allow added colours. We carried out tests for brilliant blue, ponceau 4R, sunset yellow, indigo carmine, carmoisine, erythrosine, tartrazine and fast green colours. None of the brands was found to contain synthetic colouring matter; hence all were given equal scores. Sodium chloride is a salt used commonly as a food-flavouring condiment and sometimes as a food preservative. In tomato ketchup it is used as taste enhancer. It should be added in moderate quantity. As yet, no requirement has been specified in FSS Regulations or BIS. In our tests, the percentage of sodium chloride ranged from 1.84 (Tops) to 2.58 (Heinz). Benzoic acid is a most widely used food preservative; the presence of preservative generally increases the shelf life of the product and prevents the deterioration of nutritional values, taste and odour, and microbial contamination. As per FSS Regulations, benzoic acid should not be more than 750 ppm (parts per million) in tomato ketchup. Since a higher quantity of preservative is not desirable, lower is better for consumers. All the brands were found well within the maximum permissible limit of 750 ppm. Heinz was the only brand that did not contain anypreservative. It may be noted that Heinz did not claim to have added preservatives. In the other brands, the amount of benzoic acid ranged from 388.60 ppm (Maggi) to 730.27 ppm (Delmonte). To Recieve updates and possible rewards for Tomato Ketchup please sign in.